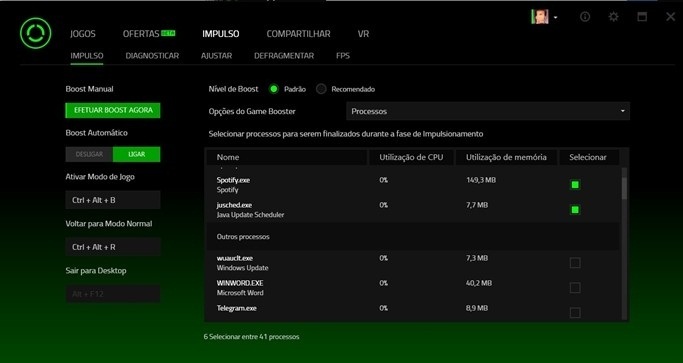 Learn how to Configure Razer Game Booster to improve the performance of your PC games. The Razer Game Booster is a free program offered by Razer accessories manufacturer to improve the performance of your computer games. For this, he selects and closes software and processes that are not essential in the PC. In this tutorial, learn how to set up a simple and practical tool. Tip: avoid scoring services and programs related to gaming customers such as Steam and Origin to avoid malfunction. Step 4. If desired, you can also change services in the sub-tab "Adjust". To do this, select the "Recommended" in the right corner of this section menu and then the button "Optimize" at the bottom of the program. If you want to return to the default settings, click "Restore" and then "Restore the Windows Default". Step 2. Select the game you want to defragment, and then click "defragment". Then wait for the end of the process.